By Jupiter®! 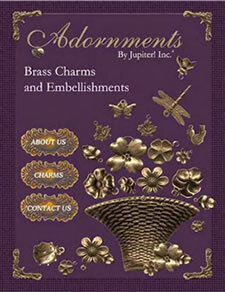 has been selling US MADE charms since 1985. Our product line is ever ­increasing as we strive to find just the items our customers are looking for. We will try to find any charm our customers are looking for, and your customers are looking for, so please e­mail or call. 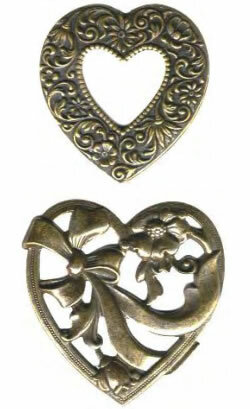 All charms are shown actual size and available in three finishes: raw brass, antique gold, and antique silver. We will do special orders in other finishes if the quantity ordered meets certain requirements. It is our desire to provide our customers with the friendliest and most efficient service. By Jupiter®! has had 2­ previous owners since 1985. The present owner has worked for By Jupiter! since 2002 and acquired the charm business February of 2014. By Jupiter®! is a wholesale and retail charm business of over 3000 charms. Orders may be placed by: e­mail, fax, and calling. Please call, e­mail, or fax the charm numbers to obtain the current prices. Prices are subject to change without notice. There is not a minimum order. Payment can be made via VISA, MASTER CARD, AND DISCOVER CARD. US Postal Service is used for shipping. UPS can be used if requested. Charms may NOT be returned without prior approval and within 14 days after receiving the order. Special orders are NOT returnable/refundable. Charms must be in their original condition and plastic bags. Return credit will be for merchandise only. The customer is responsible for shipping costs, unless it is my error. Thank you for your interest in By Jupiter®! and I look forward to suppling you with charms.